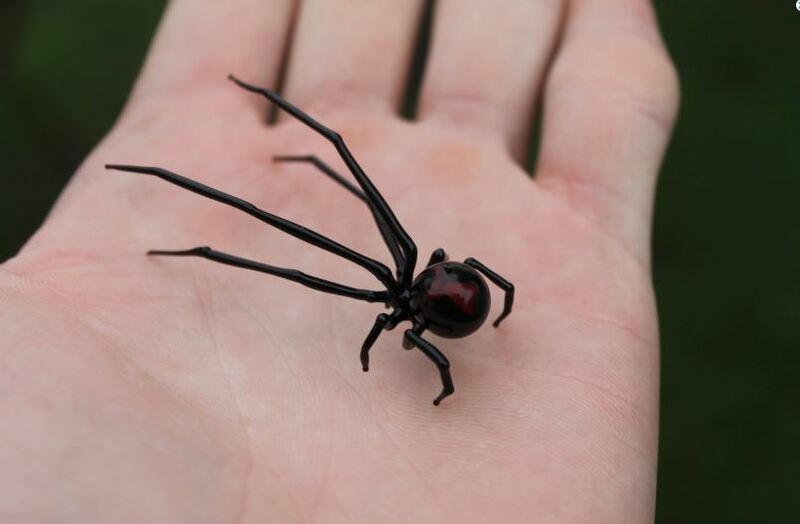 This hand blown glass spider figurine has been created using a special technique. The technique that has been used is called lampworking or glassblowing. Colored glass rods are used to create the spider. No paint is used to create the finished piece because the color is provided by the colored glass. This is great because the colors will stay vibrant and not fade. Low quality glass pieces are often made from clear glass that has been painted. The glass is softened because it can then be shaped using tools. You will love the way this spider looks. Display it anywhere in your home or office. This is a lovely piece of glass art because it is unique and handmade. Display it on any desk, side table or shelf because it is sure to add a cool touch. A great idea for Halloween because it is an awesome decoration and a cool gift. Because this is such a unique item it is sure to be appreciated by anyone who loves creative decor. The spider is 5 centimetres long, 2.5 centimeters high and 3.5 centimetres wide. 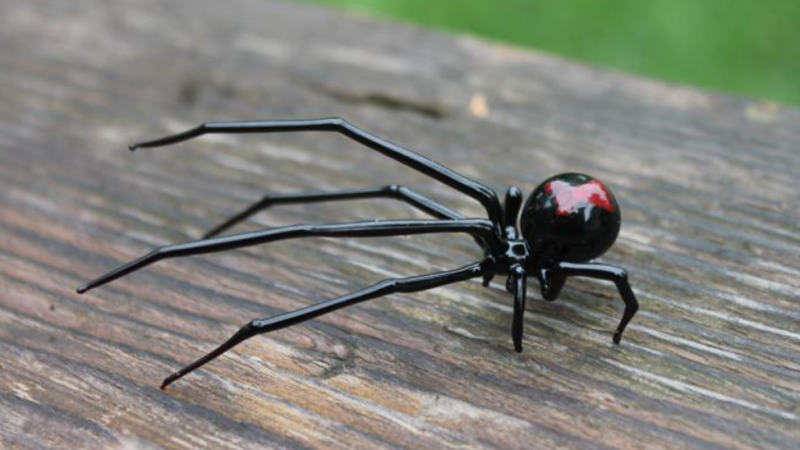 As well as this cool spider the artist also creates other cool glass miniatures. You can collect several and display them together for a stunning effect. Choose from other spiders, insects, scorpions, sea creatures, jewelry items and more. If you like this creative figurine then you may also like the following.